Xbox has announced a limited edition 'greaseproof' controller in Australia. 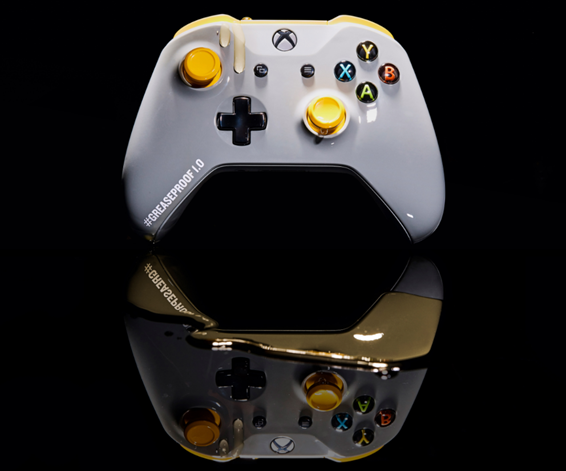 The controller sports a "patented coating" of hand sprayed urethane that is resistant to grease. There are currently only 200 of these controllers in existence, and as of now, they seem to be only available in Australia (Xbox Australia is giving away 10 via its Facebook page.) You can check out the controller getting a greasy shower in the video below.